Hello Pete - it sounds like you have made great progress to this point. Are you hoping to retire now? If so, what are your living expenses? @DeliaFernandez,MBA,CFP @DeliaFernandez,MBA,CFP At 70.5 I Understand I will have to do a yearly distribution. talking about a plan to cover the next 50+ years. @ScottM.Draper,CFP®,CPA @ScottM.Draper,CFP®,CPA I am thinking of retiring soon will need 60K for living expenses. My question is about bonds: At what point (er, how much money do you have to have) does it make sense to buy individual bonds instead of a bond fund? Pete, as long as you are comfortable with the amount of volatility your portfolio has historically endured and you like the risk/return trade-off, I don't think you necessarily need to change things up just because you reach a certain age or are ready to retire. You simply want to make sure that any funds you are going to need over a short period of time (say within the next 3 years) are invested in something that can't decrease in value (money markets, CDs, etc.) while any funds you might need over the medium term (say, years 3-10) are invested in assets with relatively little down side (like bonds). That would enable you to keep any funds you don't need for at least 10 years in stocks, which would enable your equity positions to endure a significant amount of volatility before you need those funds. There is a significant probability that a basket of stocks will be worth less one year from now, but that probability is minimized when we question what their value will be 10 years from now. Will sometimes instead of choosing A or B, I look at C which is a combination of both. Indeed, you might choose funds or etfs for bond diversification (and yes, bond portfolios, like stock portfolios, should be diversified). But then you could also do a ladder with part of your money, Maybe you would look at corporate bonds: one that expires in 2 years, one in 4, one in 8 and one in 10. Each time one matures you would reinvest the money at the "then current" rate. If rates ever get real high again, you might choose to lock in in for a longer time using longer term bonds. How much per bond is variable. No less than $10K per bond for sure and probably not more than $100-$150K/bond (they do have individual risk which is why I would keep the number lower). buying a bond fund might be a better approach. @LonJefferies I use Vanguard and T Rowe Price Large cap Mid Cap Small cap Groth and Value also International Value and Growth also Bonds from Short to long term with a tad of international and a smidgen of munis. Will, I think for most investors, the advantage of bond funds outweigh any potential drawbacks. You can get broad, global diversification, across multiple types of bonds at a very low cost with just a few funds (or less). But as Bobbie pointed out, who says it has to be one or the other? It might make sense for some folks to do a combination of the two, depending on your goals. Custodial roths? How strict are regulations...looking for a tax free or post tax way to give child (infant) a head start....like definitions of earned income I guess? Sounds great Joe. You are on top of it. If you are comfortable with how a portfolio like yours has performed historically during both the good times and the bad, then I think you are right where you want to be. Just constantly remind yourself of the level of volatility that you know your portfolio will occasionally endure, and stick to your guns when that volatility occurs. Craig you can't do a custodial ROTH. The person has to have earned income. That said, anyone with working teenagers should think about funding a ROTH for them. Craig, I may be out of touch on this, but I have never heard of a custodial Roth. My understanding is the individual to whom the account belongs to must have earned income in order to contribute to the account. I'm sorry Craig, perhaps the small child is making money acting or modeling. In such cases have at it. @LonJefferies Thanks. And I do re balance. I am interested in what other advisors think of custodial taxable accounts for children. I'm not a big fan, mostly because they can do as they wish when they become of age (if they know about it:-) And it can hurt the financial aid process much more than money in a parents account. Here's some info on Roth IRAs for kids, Craig. Note that they have to have earned income to have one. www.kiplinger.comMy 16-year-old daughter earned money this year by teaching piano lessons to younger children. Can she set up a Roth IRA? Any suggestions where? Bobbie, I'm not a fan of custodial accounts over 529 plans for children for the reasons you mention. And when the children come of age they don't like having to pay taxes on the gains of what they sell. 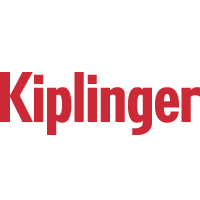 www.kiplinger.comCustodial accounts and trusts are ways to transfer cash to your kids. My wife is a retired teacher receiving a pension. She hasn't paid into Social Security, but I have. Is she eligible for spousal or survivor benefits based on my record? 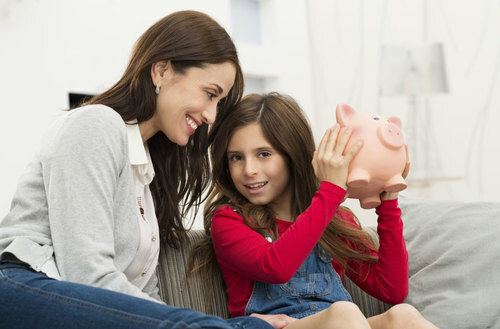 To sum up the conversation on the custodial Roth, a child can contribute to a Roth IRA assuming they have earned income, regardless of their age. However, it cannot be a custodial account -- the child would essentially have the ability to access the money in the account and make whatever decisions regarding the account as they please. A parent wouldn't be able to prevent the child from withdrawing the funds. Is this fair to say? Alex, your wife might be ordinarily eligible for spousal benefits based on your Social Security record, but they will be reduced by two-thirds of her government pension not covered by Social Security. This is known as the Government Pension Offset, or GPO provision. I contribute monthly to a Roth IRA. My wife and I just realized that our joint income will exceed the limit for Roths this year. What should we do? Hi Joe, if your modified adjusted gross income turns out to be more than what is allowed in order to make a Roth IRA contribution, you'll likely need to withdraw the contributed funds, claiming the contributed funds to be an excess contribution. The custodian with whom you made the contributions to should be able to help you with this. But Joe, here is the question: Do you or your wife have traditional IRA accounts? www.kiplinger.comAdvice on how to navigate income limits for a Roth IRA plan. Joe, if you don't already have a traditional IRA, you could choose to contribute to a traditional IRA rather than a Roth IRA, even though the contribution would likely not be tax-deductible. This would still allow you access to a tax-advantaged investment account -- except the advantage would be tax-deferred growth rather than tax-free growth. After taking this step, if you later determined that a Roth IRA fit your needs better, you could potentially convert the traditional IRA balance into a Roth IRA account. In doing so, you wouldn't need to pay taxes on any converted dollars that you have already paid taxes on. This strategy gets a little more complex if you already have money invested in a traditional IRA account. I'd like to take a loan from my Roth IRA. Can I do that? Are there any restrictions or concerns I need to note? Jeff, a big advantage of Roth IRAs is that you may always withdraw your original principal without tax consequences. But that's not considered a loan; it's a permanent withdrawal. Sorry Jeff, loans on Roth IRAs aren't allowed. You can take a distribution from the account, but that would permanently reduce the value of your account as those dollars can't simply be repaid. Do you have access to a 401k or employer sponsored retirement plan? Your chances of being allowed to take a loan from those types of accounts is higher. My daughter just got married and changed her name. Do I need to update my will and beneficiary designations to reflect the change? Jeff, what do you need the funds for (if you don't mind me asking)? Molly, I'm not an estate attorney, but my impression is that if something were to happen to you today (knock on wood), your accounts would find your way to your daughter even though she recently went through a name change. Still, you should update your beneficiaries as quickly as you can. Hi Molly, it would be good to update your estate documents to ensure a smooth transfer to your daughter should something happen to you. (please note, I'm not an attorney and this is not legal advice). I'm receiving a city government pension, and I intend to claim Social Security benefits from past employment and a current part-time job. How do I figure out how much my Social Security benefits will be reduced? I'm signing off. Thanks to the other advisors for helping ME learn new things and to Kiplinger who made this all possible. Adam, there are advisors who work with software products such as Social Security Timing and others which allow them to give you a very close estimate of how much your Social Security will be reduced. Otherwise, as a general rule of thumb, the Windfall Elimination Provision, or WEP reduction, is limited to one-half of your pension from non-covered employment. Adam, the best source, of course, is to call Social Security and have them do an estimate. Thank you to everyone who asked questions today, and to all of the advisers who were on hand to take your questions. Mark your calendars for our next live chat, which will be Thursday, December 10. See you then!